Shaiha's Ramblings: Fall Fashionista Event! For the past few years, one of the fashion events that I look forward to is the Fall Fashionista. And this year especially as I finally have my shop open so I am able to offer the winner choices. Now a bit about this glamorous online fashion hops. 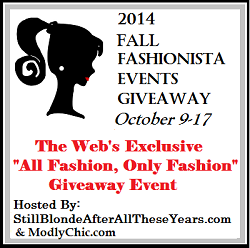 The Fall Fashionista Giveaway Event is hosted by The Chief Blonde at Still Blonde After All These Years and Katy from Modly Chic. All Fashion! Only FASHION event! Largest Fashion Giveaway event on the internet with $26,000+ in prizes, 100+ participating blogs and 3/4 million entries. Each individual blog has a minimum of $125 prize! And a fantastic grand prize! 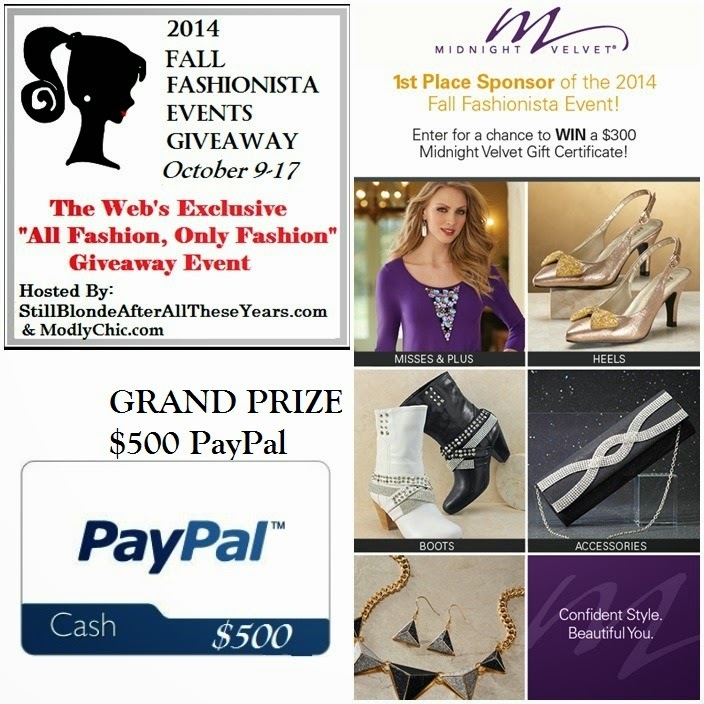 The FALL Fashionista Events Grand Prize is $500 PayPal (worldwide where allowed by law). For every giveaway in the Fall Fashionista Event that you enter, you gain one entry toward the Fall Fashionista Grand Prize. 1 Grand Prize winner will receive $500 PayPal cash. 1 first prize winner will receive $300 gift certificate to Midnight Velvet Clothing. Isn’t that stunning? This year is extra special for me as I am now able to offer a gift certificate to my own shop. Yes, you heard me correctly. 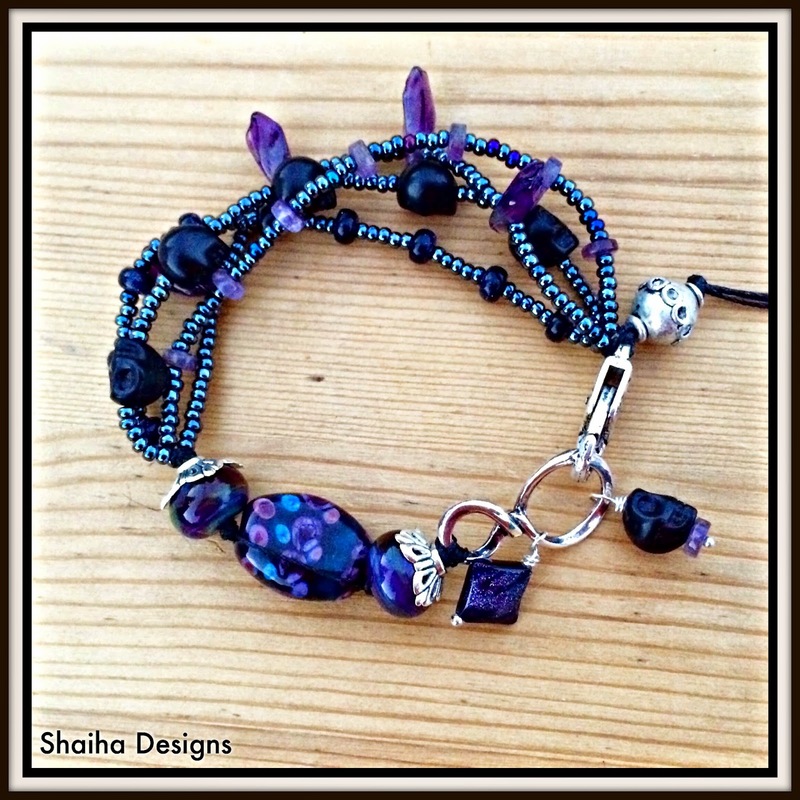 I finally got around to opening up Shaiha Designs and I will be offering a $150.00 gift certificate that is good on any pieces of jewelry that catches your eye. Still Blonde after all these YEARS , Modly Chic, Fall Fashionista Events Giveaway or the Fall Fashionista Events Giveaway bloggers are not responsible for sponsors/bloggers that do not fulfill their prizes or for any product failure or harm caused thereby. Now be sure to enter all the other contests. There are some really nice prizes up for grabs. Gorgeous jewelry! I love it, wish I could enter. Good Luck everyone. 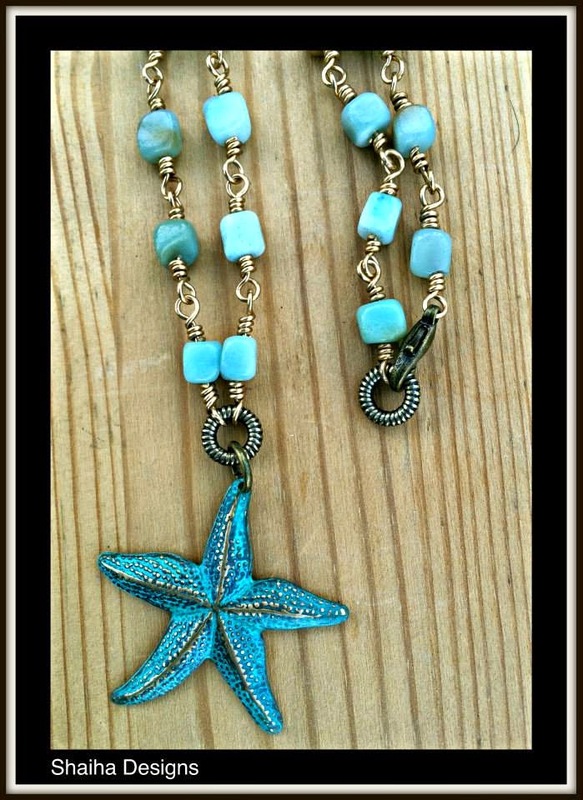 Stars In The Sea necklace! Love "bring on the sun"! beautiful. I love the fly away bracelet! I absolutely love the Turquoise Goddess Necklace! However all of their pieces are beautiful! My favorite is the Wise Owl necklace. My favorite piece is the Ancient Ones Necklace! ENTERED UNDER ALONA Y. My favorite is the Autumn Flowers Bracelet! I love the colors! I love the Autumn flowers bracelet. I love the hearts and roses necklace. I love the Teal Sundown Bracelet. It is gorgeous. I think the Falling Leaf necklace is my favorite. They're all gorgeous though! My favorite unique piece would be the "Wise Owl". I love the wooden beads and sea glass. I also collect Owls and have never seen another necklace like this one. The only trouble I'd have is trying to narrow down my favorites in your shop! The hearts and noodles bracelet has such pretty colors. My daughter would love to have this for Christmas. My favorite piece is the Fly Away Bracelet! The Turquoise Goddess Necklace is gorgeous! I wish I could enter! I love the Wise Owl necklace! I would love to get the Pink Butterflies Necklace for my daughter. I'm torn between the To the Stars Necklace and the Falling Leaf Necklace. I love them both! I love the falling leaf necklace! :) It's so cool! I really like the Seaside Jewelry, especially the Stars in the Sea. Very pretty! I really like the Ancient Ones necklace. I really like the Boho beautiful bracelet! I like the hearts and roses necklace. I love the "to the stars" necklace! I love the Vintage Gold necklace the most from the site. I like the Ancient Ones necklace. I like the Clotted Cream Bracelet. I love the Teal Sundown bracelet. I really love the Teal Sundown bracelet. My favorite piece is the Autumn Flowers Bracelet. It is beautiful. I love the Changing Seasons Necklace. Gorgeous! I love the Hearts & Roses Necklace! the cobalt crystals necklace is my fav. Ancient Ones Necklace is my favorite! I like the You Own My Heart Bracelet. I love the changing seasons necklace. I love the Earthen Sea Necklace. i really like the Falling Leaf Necklace. I can see it on me right now! My favorite piece is the Cobalt Crystals Necklace. Cobalt Crystals Necklace...because that is my favorite shade of blue. My favorite piece is the Waterfall Glass necklace. My favorite is the You own my heart bracelet! The You Own My Heart is the best! I like the fly away bracelet with the little hummingbirds. I like the tiny dancer necklace but a few of the bracelets caught my eye as well! I love the Vintage Gold Necklace! I love the Turkish Delight bracelet the most! The colors are stunning. I like the By The Sea Charm Necklace! I love the Bring On The Sun necklace. would brighten any outfit. I love the Braided Waves Necklace. I really like the Tribal Goddess Necklace. The Turquoise Goddess necklace is really pretty. Love the colors and the design! So unique! There are so many beautiful items on the site! My favorite is the Hearts & Roses Necklace....it is beautiful! Keeping my fingers crossed that I win. I like the Autumn Flowers bracelet. I love both the Vintage Gold and Braided Waves necklaces! I love the falling leaf necklace. I really like the Round and Round Bracelet with the turquoise colors and the beachy feel. The Fly Away Bracelet is my favorite item -- would love to buy it. hi, i love almost everything.....but a fave is 'you own my heart' bracelet. I love the by the sea charm necklace. Love the Falling Leaf necklace! I like the vintage gold necklace. The Dark Magic bracelet is very nice. My favorite piece is the Turquoise Delight! I LOVE LOVE LOVE the Cobalt Crystals Necklace! i love the you own my heart bracelet! I love the Teal Sundown Bracelet and the You Own My Heart Bracelet. i like the fly away bracelet. Everything. Ok? Just everything. The Falling Leaf Necklace, the Fly Away Bracelet, the Autumn Fire necklace, should I just list everything? I like the Turquoise Delight. The Hearts and Roses Necklace. I really like the Earthen Sea Necklace. The Stars in the Sea necklace is beautiful. Sooo cute! The Tiny Dancer Necklace and Wise Owl are my favorites!!!! The Blue Fire necklace is beautiful! I love the stars in the sea necklace. I love the Tiny Dancer Necklace. You are very talented and have a lot of beautiful pieces. I LOVE the Flyaway Bracelet. Thank you so much! I love the Hapiness Necklace. I know why it's called the happiness necklace. When you see it, you are immediately happy. Beautiful colors. Also, it looks like you use a lot of turquoise which is my birthstone. I hope I win your lovely gifts. Thank you! My favorite piece is the Hearts & roses necklace. Thanks for a great giveaway! The stars in the sea necklace is so beautiful! I love the ocean and that's what this necklace reminds me off. I like the Teal Sundown bracelet and the Blue Fire necklace. The other pieces are beautiful too. I love the Ancient Ones Necklace! Gorgeous colors & I love the tassel by the closure. I love By the Sea Charm Necklace. I like the You Own My Heart Bracelet! I was just notified that all of my "likes" from facebook have been wiped for the past 30 days. This is under my "Meelie Kuemp" profile. I am attempting to go back to all 110 blogs and "like" under another account, but all updates I liked or shared will remain under that profile. Additionally, while I can usually hit edit on the giveaway form and make sure a page is liked under my other account, I can't update the facebook name. My other facebook page is under my full name, Ce-li-na Lun-din Ku-em-per. Hopefully this will not disqualify me, as I spent so much time entering, I look forward to it each year! Thanks either way for the great event! I love the Bring on the Sun necklace. It speaks to me. I like the braided waves necklace. I really like this bracelet Teal Sundown Bracelet love the beautiful shades of blue. I like the Autumn Flowers Bracelet. (rafflecopter name is Kimberly). I love the colors of the Happiness necklace. I like the As Above Onyx Necklace and the To the Stars Necklace the most. I love the Orchid Copper Chain!! I love the Turquoise Delight necklace. I LOVE the Tribal Goddess Necklace! The Happiness Necklace is my favorite! The As Above Onyx Necklace is stunning! Really love and glad to have been introduced to this designer! I like the Hearts & Roses Necklace. I like the Happiness Necklace and the Hearts & Noodles Bracelet! I love the Autumn Fire Necklace. So many beautiful and unique pieces but I love the pink butterfly necklace and the as above onyx necklace! I like the Orchid Copper Chain. My favorite piece is Stars In The Sea. I really like the By The Sea Charm Necklace. My favorite piece is the Teal Sundown Bracelet. I love the colors. The Braided Waves Necklace is pretty! I like the heart and roses necklace. My fave is stars in the sea. The blue fire necklace is my fav. I really like the Turquoise Goddess necklace. It's so pretty.